Dan Silver is a PhD candidate at the University of Manchester. He spoke at our 2016 Autumn event #Visual16 about communicating academic research in new and innovative ways. In this blog post, he explores ways in which researchers can make sociology more public. Research that it produced through the university but which remains closed within it is not consistent with ideas of public sociology and is ultimately not very democratic. What is the purpose of producing all these flashes of insight, evidence and new ideas if it remains circulating amongst a small section of society? As the world seemingly slides into an ever-increasing swirl of intolerance, inequality and injustice, this issue is becoming even more urgent for scholars who are committed to more radical and egalitarian democratic ideals. Back & Puwar (2012) identify the need for a new political purpose for sociology and to consider ‘learning new strategies for telling about society and for affecting and persuading audiences’. There is great scope for a more and better public social science, and we have a responsibility to push things forward. A major part of this is how we choose to communicate the research that we have done. Howard Becker writes in ‘Telling About Society’ that the reports we produce are different types of artefacts – abstract representations of lived experiences together with our analysis of social issues – some might choose a graph, some might pick a photo, others could prefer the story of someone’s life; Becker notes that at each step, ‘the observation becomes more abstract, more divorced from the concreteness of its original setting’. We cannot physically re-create what we have seen through the course of research (nor would we want to), and so there is a need to make particular choices on what it is we choose to report. Different forms will reach different audiences – it is an important choice that we make and one that requires thinking through. A major influence on this should be how we might make our research more accessible. Dave Beer’s ‘Punk Sociology’, which calls for an approach to research that opens up new spaces for critical thought that break with convention, has been an inspiration to me. Beer asks us to be bold and creative, not to play it safe and to show bravery in putting out ‘stripped-back and raw forms of social insight’. This doesn’t seek to replace traditional forms of academic publishing, but adds in another layer to democratise the production and distribution of knowledge. 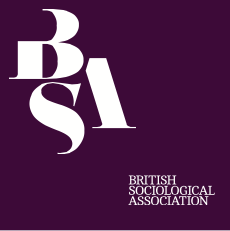 To this end I am developing some creative collaborations [some to be revealed at the BSA annual conference hopefully]. This has involved experimenting with different ways to represent the evidence and ideas generated from my research. I am doing this to think through how ideas that are produced from research at the university can become more accessible to the public. Audiences who have not had the years of training in particular academic languages can still quite clearly understand the issues that are being dealt with, often because these are issues many people are affected by in their day to day lives. We just need to be more thoughtful and adaptive in how we put these across. It is not just better dissemination of our research, something needs to happen afterwards. And this is where Burawoy’s ideas around mutual education are instructive. How do we work with our research participants and publics to transform private troubles into public issues? It is something I am thinking about now in the final year of my PhD through evaluation research with three food banks, a local women’s project and an international charity providing immediate material support for families in need. When done successfully it can be extremely powerful: connecting lived experience with sociological insights is one way to build up collective action. This sits within a process of what Kirsteen Paton has identified as “getting real, DIY and going live.”. Learning new ways of making social science more public through experimenting with different ways of doing is an urgent task, and one I am excited to be involved in. It looks like the future demands it. Google has rise out of the closet with its picks in behalf of the climb google Android apps of the year and its choices dominion knock someone for a loop you. The gathering published its end-of-year lists highlighting the most skilfully of Google Play, and it rewarded language-learning app Drops with its apex honor.